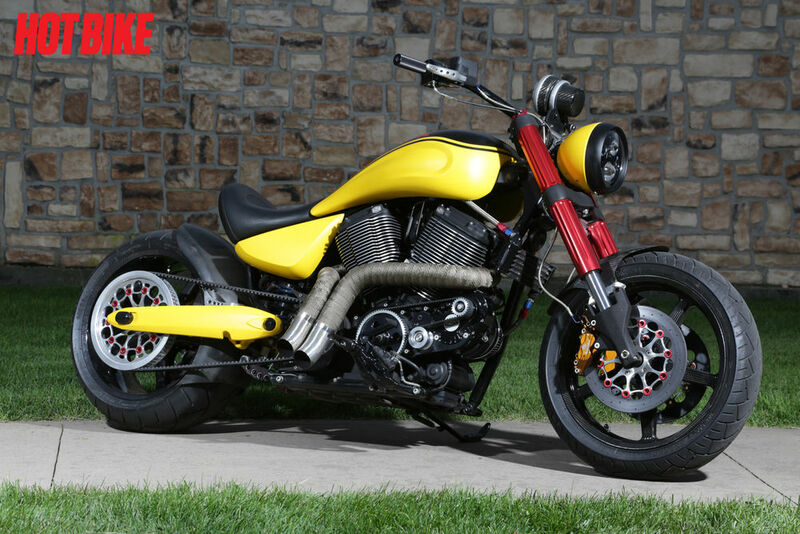 Conquest Customs built up a 2005 Victory Hammer referred to as SuperBee for the tour. This machine is born out of my early Hot Rod magazine days, as I like to call it a pro touring muscle car on two wheels. This was actually the first bike Conquest built back in 2005 and had been used as a mule for testing components and configurations for half its life. The past five years it has been slowly raped of many parts and was looking quite pathetic in the back of the shop. It was the 2014 Hot Bike Tour that served as my inspiration to get Bee back on the road for 2015.